For some time now there has been a lot of buzz with good cause, surrounding the nutrient MSM (methyl-sulfonyl-methane). MSM is known to be especially useful for treating chronic pain, especially arthritis, and other inflammatory disorders in a natural way. But in fact it is very useful for treating many more health issues. When you see the list of all the health problems it can help, MSM may look like an awesome cure-all. It is no wonder MSM is known as ‘the forgotten nutrient’. Sulfur is very important in the human body and an important part of human nutrition. It is needed for a number of different processes within the body. Low sulfur levels in the body lead to many degenerative diseases. MSM is a natural form of organic sulfur compound and is found in all living organisms. It forms a natural part of the earth’s food chain and is the main source of bio-available sulfur that the human body is able to actually utilise. MSM is needed by your body for healthy connective tissues, good joint function, proper enzyme activity, hormone balance and a well-functioning immune system. It provides one of the tools your body needs to heal itself and maintain its vitality. MSM is really no more than a simple food supplement that is present naturally in diets that are not loaded up with processed foods. However the MSM that occurs in our food is destroyed during processing. Given that most food in the food industry is processed in some way – by heating, irradiation or freezing – most of the food consumed in the western world no longer contains MSM. As a result most people are deficient in this essential compound, and this deficiency is likely to become even greater as you age. MSM deficiencies show up in many ways including pain, fatigue, depression, sensitivity to stress (both physical and psychological), and many degenerative diseases. Chronic Pain: MSM supplements are often successfully used to help treat chronic pain and a range of inflammatory disorders, including rheumatoid arthritis, osteoporosis, bursitis, tenosynovitis, tendinitis and eye inflammation. Aging: As they age most people become less flexible. Their tissues become less elastic, joints stiffen up, lungs and blood vessels lose elasticity, and their skin develops wrinkles. MSM levels in the body also decrease with age. When MSM is replenished these symptoms of aging are reduced. Cell Health: MSM aids detoxification within the body by increasing the permeability of cell walls. As you age old cell walls harden and new cells are stiff and inflexible, affecting the movement into the cell of nutrients, and out of toxic waste products that lead to degenerative disease. MSM helps the body replace old stiff cells with new, healthy, elastic cells which allows a more efficient passage of nutrients into the cell and elimination of toxins and waste products out of the cell. Heavy Metal Exposure: Most of us are unknowingly exposed to a wide range of heavy metals, through the air, our food, even in tattoo ink. MSM can be really useful for anyone who has had exposure to heavy metals because it plays such a powerful role in eliminating them from the body, by inactivating them and hastening their removal. MSM has been found to be a wonderful pain killer, very effective for relieving chronic pain. It acts as an anti-inflammatory as well as having an analgesic effect to naturally block pain. 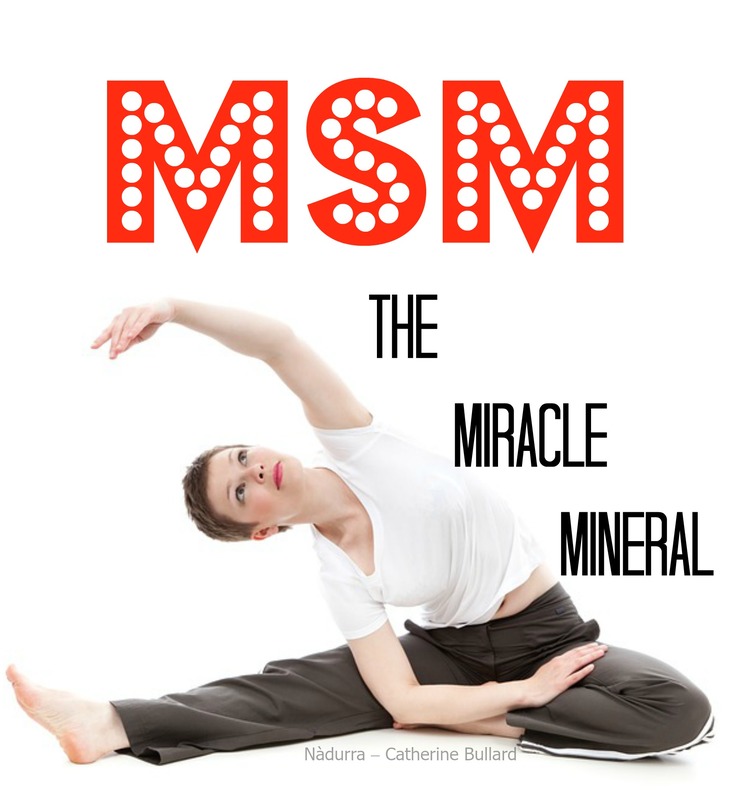 MSM is a genuine miracle beauty mineral that can radically improve skin, hair and nail health. It improves the production of collagen needed to keep skin supple, as well as keratin, both critical for producing healthy hair and nails. Hair and nails can become stronger, and hair thicker after just a few weeks of regular use. Acne, rosacea, psoriasis, eczema, dermatitis, dandruff, some fungal infections, and scars can all benefit from taking MSM. Aloe Vera is frequently used to heal damaged skin but in fact it is the MSM that is contained in the aloe leaves that really works the wonders, repairing the scrapes, burns or other damage. Instead of using aloe vera MSM can be applied topically as well as taken internally. Alleviate allergies – food, contact, and inhalation. MSM inhibits histamine just as well as antihistamines, without the side effects. Fights the inflammation associated with auto-immune disease. 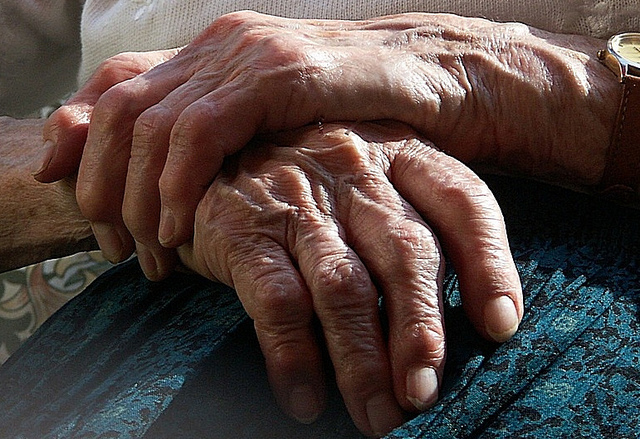 Experiments for arthritis and Autoimmune Lymphoproliferative Disease (ALD), showed great improvement. In Lupus it had benefit before and after the disease. 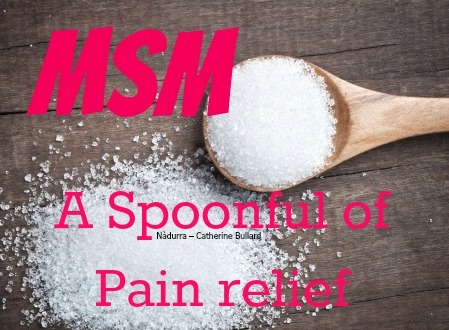 In pain relief MSM acts as an anti-inflammatory as well as having an analgesic effect to naturally block pain. It also improves the action of the hormone cortisol, which your body releases in response to inflammation. MSM is an excellent energy booster. Because it increases the permeability of cells, allowing nutrients to pass more easily in and toxins out, your cells use less energy. Because it is easier for your body to absorb nutrients far less energy needs to be spent on digestion. So there is more energy left over. MSM occurs naturally in protein rich foods such as meat bones, poultry, eggs, fish and legumes. Good vegetable sources include raw leafy green vegetables, garlic, asparagus, Brussels sprouts, kale and wheat germ. It is also found in beer and coffee. Raw milk has the highest naturally occurring amount of MSM, however, it is destroyed in the pasteurization process. MSM is also lost when food is cooked as it vapourises in the steam, or when it is stored for any lengthy time. Unless your diet is excellent and you eat lots of MSM rich foods every day, you are better off getting your adequate amounts of MSM from a supplement. 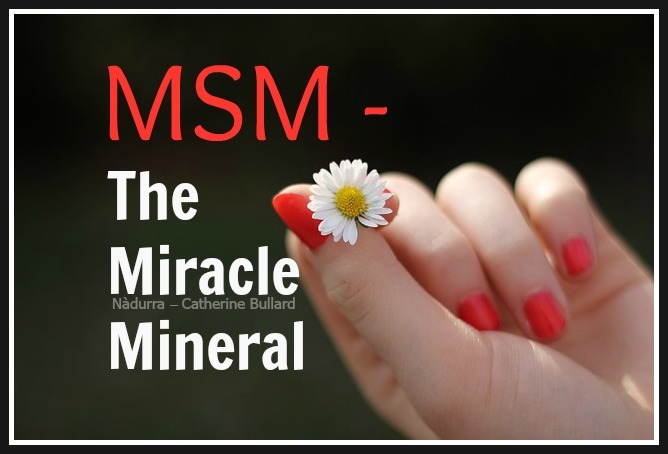 MSM comes as a powder or capsule and is considered very safe and non-allergenic. You can take a supplement knowing you can’t overdose with MSM. It has been shown to be extremely safe in toxicity studies. Even with a diet rich in MSM the amount you would ingest from your food would still be only a small fraction of the recommended therapeutic dose. So even if you are getting MSM through your diet you can safely take a supplement. Your body will take what it needs and eliminate the excess. Dosage varies depending on your complaint. For most adults an effective therapeutic dose would be between 1.5 grams up to 10 grams a day, taken in three doses with a glass of water, 30 minutes before eating. If you get nausea or headaches, diarrhea, a mild rash or swelling of the ankles (all detox symptoms) you may need to decrease the dose you are taking before slowly working your way back up. But be aware that your body is ridding itself of toxins and so you need to continue the MSM in order to finish the process. While it is always better to get your mineral needs from the food you eat, sulphur and MSM may just be an exception. It is unlikely, even if you are eating a perfect diet, that in our society you are getting enough MSM to satisfy what your body needs.